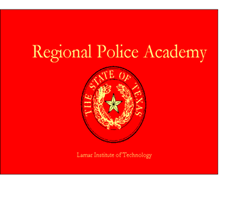 This one day (eight hour) course is designed to provide you, the first line supervisor (but others can attend), with the tools necessary to effectively lead police officers and manage critical incidents.Tactical Leadership addresses the skills necessary to establish a cohesive and forward thinking team and ready them for success on the street. In addition, videos of actual critical incidents will be viewed, analyzed and discussed in order to develop a workable understanding of how to manage an event to a successful conclusion. After a tour with the U.S. Marine Corps, Sergeant Keith Wenzel began his career in law enforcement as a patrol officer with mid-size police department. Four years later, in 1982, Keith was hired onto the Dallas PD and worked various assignments to include patrol, covert deployment, and an academy advisor. During this time between a career and family, he graduated from the Dallas Baptist University with a bachelors degree. In 1987 he was selected for the SWAT team where he stayed until he was promoted to the rank of sergeant in 1993. As a supervisor, Keith held leadership positions in patrol, deployment, and the bike unit. He supervised patrol officers in five of the six patrol divisions in Dallas. Excellent course from an outstanding instructor. Call 880-8022 to register.